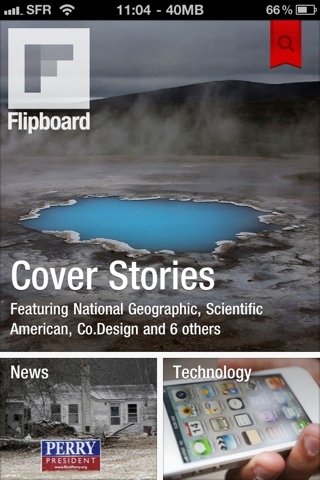 Flipboard for iPad has been out for a while and is one of the most successful iPad apps today. They recently released Flipboard for iPhone after working on it for a long time (word on the street is that they've been internally testing it for close to a year and just kept on perfecting it before releasing to the general public). The iPhone version of this app is pretty great. 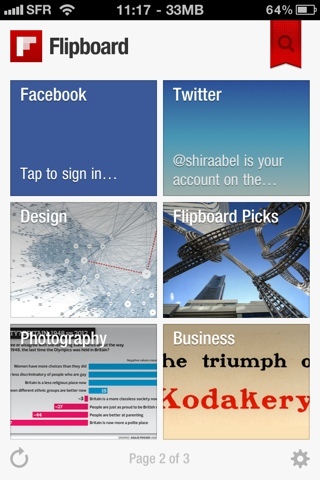 As you can expect from Flipboard, the app is very sleek, fun to use, straightforward, and useful. Overall, it's a great way to read news that interests you without much of a hassle and in a fun way.